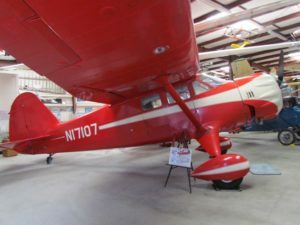 The Reliant is a three-place high-wing fixed tailwheel land-based monoplane. 1,327 Reliants of all types were made from 1933 to 1941, in different models, from SR-1 to SR-10. The final commercial model, the Stinson Reliant SR-10, was introduced in 1938. A militarized version was first flown in February 1942 and remained in production through several additional versions (all externally identical) until late 1943 for the US and British armed forces. 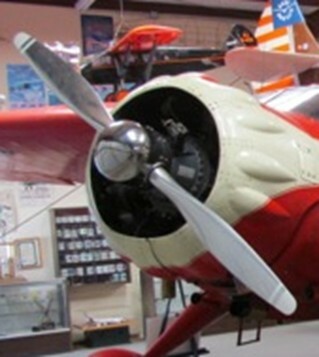 The aircraft is on loan to the Wings of History Museum from the owner and pilot Phillips Sweet of San Jose. Mr. Sweet acquired the airplane in 2008 at Ryan Field in Tucson, Arizona, where it was since 1952. Its last flight prior to the acquisition was in 1982 and thereafter had been stored in a Ryan Field hangar. The log books show that it was owned by Pan American Airlines until 1943. 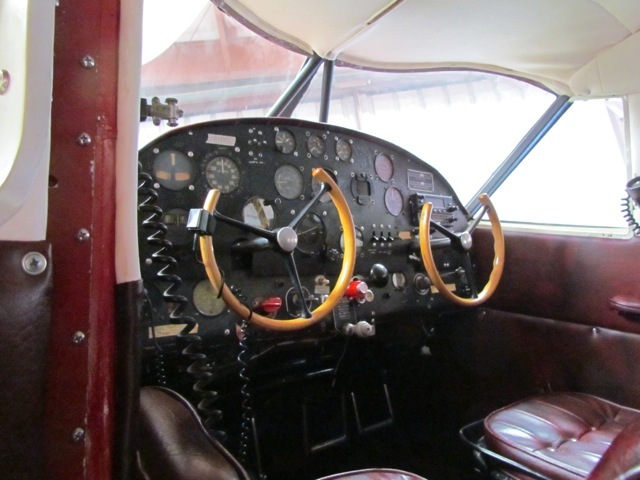 The Stinson Reliant, aircraft has a 42-foot wingspan, 28-foot length and stands about 8-1/2 feet tall. It is powered by a seven-cylinder Wright Whirlwind R-760E-2 radial piston engine delivering about 320 horsepower. With a cruising speed of about 150 mph and a range of about 800 miles, it was one of the outstanding aircraft of the 1930’s. It was manufactured in 1937. Thanks to Wings of History members Frank Nichols, Daniel Petroff, Wikipedia, and Jimsladesairlines.com for contributing to this article.